Discover cheap holiday packages from Australia to exciting destinations around the globe. Take the stress out of planning your trip and know that all your needs are catered for in advance. Don't worry about booking for flights or finding a hotel, all you need to do is sit back and enjoy your time off. With Webjet, you can build the perfect getaway. Whether you're travelling solo, with your family or planning a romantic rendezvous, you can select every aspect of your journey. Book a trip to a hotel that caters to kids entertainment, splurge on a couples only retreat or kick back and unwind at an all-inclusive beachside resort. No matter where in the world you want to go, Webjet will find the perfect holiday package tailored to your needs. Choose from a range of budget-friendly to five-star deals that will make your trip one to remember. Looking for some inspiration for your next trip? Take advantage of a last-minute holiday package to Iceland where you can explore the country's dramatic landscape. Surprise your family with the ultimate getaway to California and spend a week exploring Disneyland. Be inspired by the rich culture and unique attractions in New Zealand and or India. Give your wallet a break by taking advantages of deals to destinations such as Tokyo, London or Fiji and stay in some of the world's top resorts and hotels for less with an all-inclusive holiday deal! Hassle-free Experience: You don't need to worry about the logistics. All you need to do is arrive at the airport on time and enjoy your holiday. Save Time: Instead of spending hours online trying to find the best prices for flight and hotels, you'll have the best deals from the world's leading travel brands only a few clicks away. World-class Service on a Budget: Due to the travel industry's competitive nature, holiday packages offer exclusive discounts from top hotels and airlines. 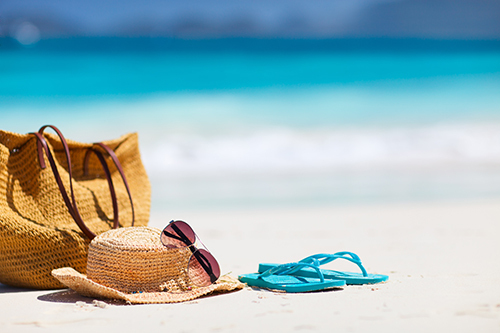 No hidden costs: You'll pay the full price of your holiday package before you leave for your trip. Webjet will give you up-to-date information about flight times and prices for your destination, so you get the best deal possible. Through partnerships with the world's leading travel brands, you can save money with our exclusive cheap holiday packages that you won't find anywhere else. All you need to do is use our powerful search engine to find the perfect combo deal for your budget. A single booking with Webjet will include return flights and accommodation with the ability to add-on extra luggage as needed. Choose your cabin class, your hotels quality rating and how many rooms you need. Whether you're looking for the ultimate beach holiday or a city break, there's a holiday combo to suit your needs. Splurge on a luxury escape or book a cheap holiday to a destination you've always wanted to explore.